This is pretty damn epic!! A pretty epic video taken from the Music And Gaming Festival, MAGFest 13. There’s nearly three hours here. Enjoy! I must admit, I didn’t realise that Jeroen Tel from Maniacs of Noise was still composing 8bit music and DJing it to a live audience. This is a great 40 minute bitpop set! I don’t know much about this, but it’s some banging 8bit chipmusic! 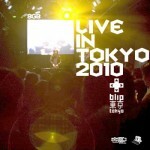 Drum and bass, electronica, blip-master 8GB has just released a digital album of his 2010 chipmusic performance at the Blip Festival Toyko. A clever blend of 8bit gear and modern quipment, 8GB gets the Bitpop thumbs up every time! Why are you still reading? Download now!!! This is so hot off the press I’m only listening to it myself right now. I’m sure I’m hearing some tributes to MinusBaby here – I APPROVE! UPDATE: OK, so I finished listening – wish I was there so bad! Good work Akira! When Billy Polard decided to make a video to his song “When Our Bedrooms Were Once Haunted”, did he use After Effects? No. Premier? No. Maybe some Flash? No. He picked up his Nintendo DSi and using Flipnote Studio made this fantastic video. Very emotional and fits the song perfectly. Intense. You are currently browsing the archives for the Music and Videos category. Copyright © 2009 Bitpop. All Rights Reserved.